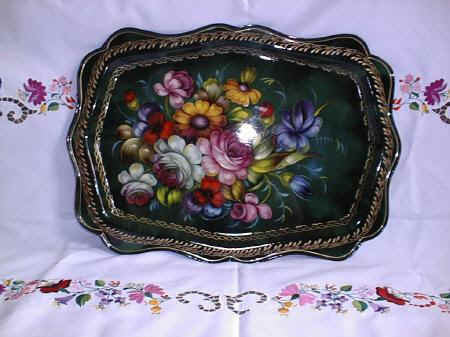 Hand painted metal serving trays. 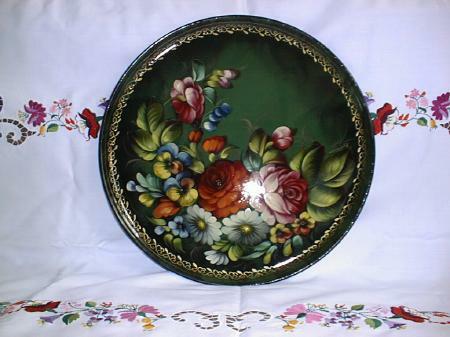 Russian and Pidnossie in Ukrainian, they are a beautiful addition to any table. 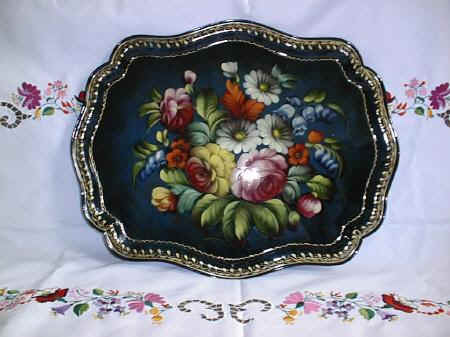 Ukrainian oval serving tray. 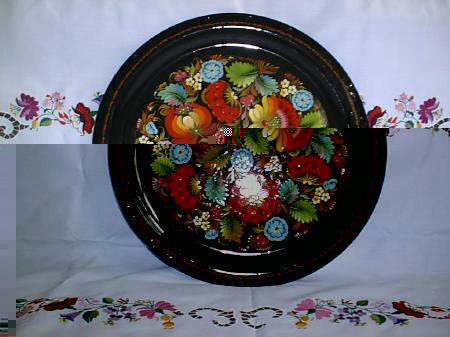 Size 10" x 16". 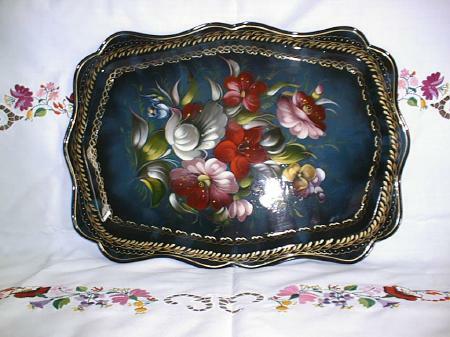 Ukrainian medium serving tray.Size 18.5" x 13". Ukrainian medium serving tray.Size 17.5" x 14". 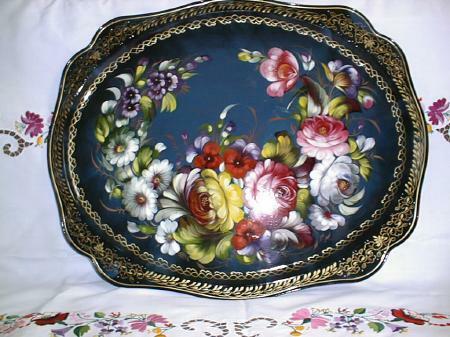 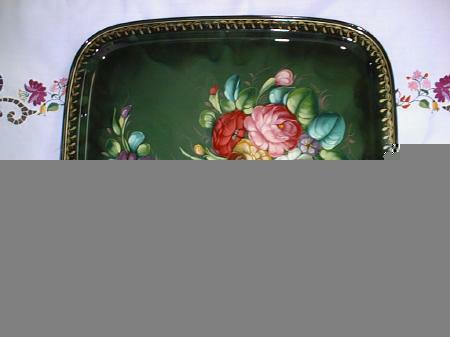 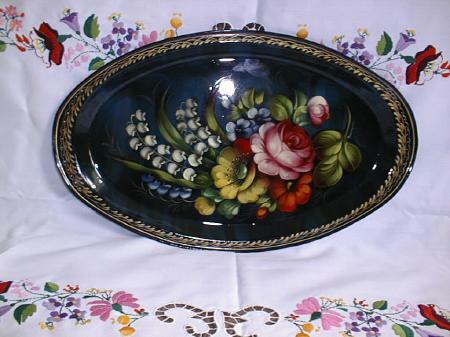 Ukrainian medium serving tray.Size 18.5" x 13.5"
Ukrainian round serving tray. Size 15". 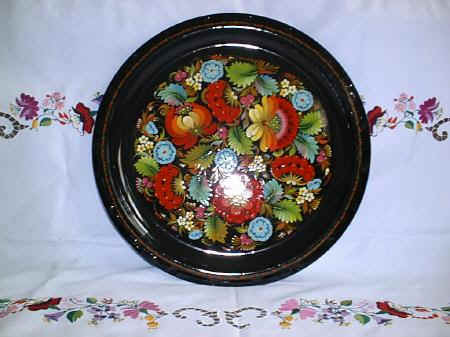 Ukrainian round serving tray. 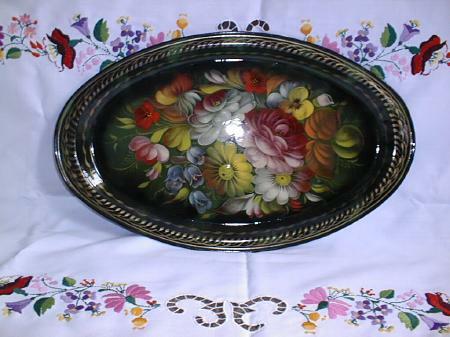 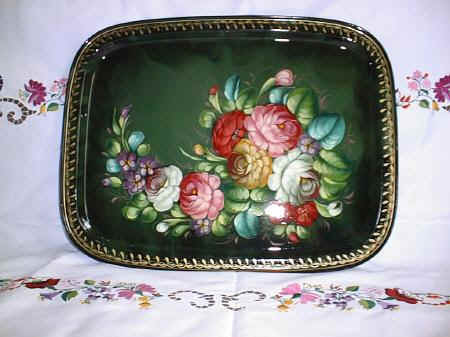 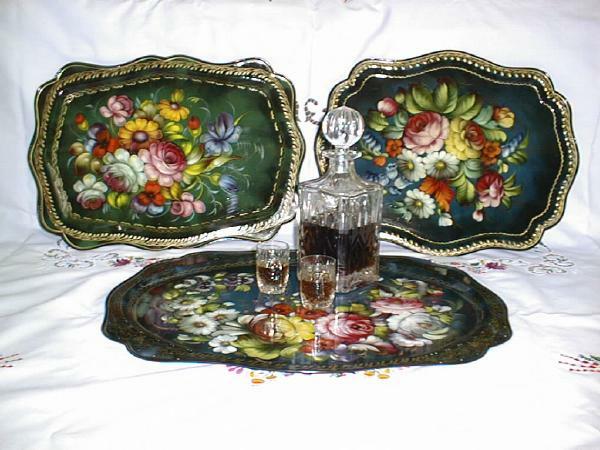 Size 15"
Ukrainian large serving tray.Size 19.5" x 15.25". 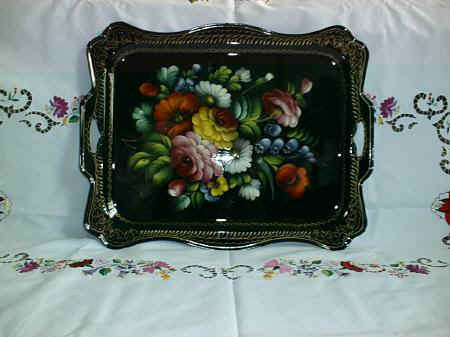 Ukrainian large serving tray.Size 20.5" x 16.5".